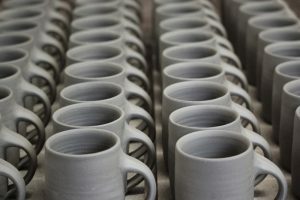 Building on the success of the apprenticeship scheme and developing their remit, Clay College Stoke will be the UK’s first skills-based, independent institution to focus on teaching a new generation of potters the essential skills they require to make a living from their craft. Students will be taught by world renowned potters who share a passion for keeping this tradition alive. Here’s Lisa Hammond MBE and Chair of Adopt a Potter, who you can also hear speak, along with her apprentice Florian Gadsby, at this years HCA Conference on 6 May 2017 (click here to book).